Intercultural competence is vital to your success in the 21st century. This certificate enhances many majors and is a great credential for employment in many fields, from business to education to health care. 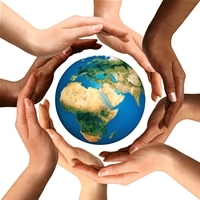 Consider earning a certificate/minor in Intercultural Engagement. Make a clear statement to prospective employers and graduate schools that you possess the knowledge, awareness, skills and international competence that sets you apart! Make an appointment to discuss this program with the Study Abroad Advisor in the Center for Global Engagement, 601 Duquesne Union. Print the application. Meet with your academic advisor then submit it to the Center for Global Engagement, 601 Union. Once your application is submitted, you will receive a confirmation email and be assigned an Intercultural Mentor. Available to all Duquesne University student. For students in the McAnulty College of Liberal Arts the certificate serves as a College minor. What is a Thematic Concentration? This is an opportunity for you to be creative and to shape your minor or certificate to a theme or an area of the world of particular interest to you. Many students develop this as a result of their study abroad experience. And, yes, the coursework you may have already accomplished while abroad counts and can constitute the thematic concentration. What courses can count towards the thematic concentration? Courses must cover one or more countries, regions, or cultures outside of the United States (for example, a course focusing on the country of Mexico, the region of Africa or indigenous cultures across the world). Theses courses could address a common theme from different cultural perspectives (i.e. conflict resolution, human rights, or women's issues). Courses within liberal arts, business, health sciences, education, or other academic disciplines may be included. "Students who study abroad hone problem-solving skills... have exposure to different thought processes and multiple viewpoints, which are important for collaboration and innovation in an ever-changing work environment."